Color of a fruit helps in determining its nutrient content and hence, its nutritional value. 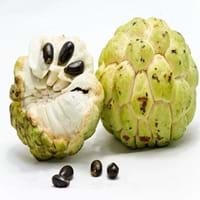 Therefore, color can considered as an important factor of Guava and Cherimoya Information. Guava is found in shades of green, pink and yellow and Cherimoya is found in shades of green and yellow. Get Guava vs Cherimoya characteristics comparison of the basis of properties like their taste, texture, color, size, seasonal availability and much more! Guava belongs to Tree Fruit, Tropical category whereas Cherimoya belongs to Tropical category. Guava originated in Central America, Mexico and South America while Cherimoya originated in Ecuador. Guava and Cherimoya varieties form an important part of Guava vs Cherimoya characteristics. Due to advancements and development in the field of horticulture science, it is possible to get many varieties of Guava and Cherimoya. 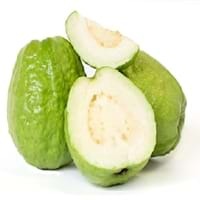 The varieties of Guava are Lucknow 49, Allahabad Safeda, Chittidar, Harijha, Apple guava, Hafshi, Arka Mridula and Allahabad Surkha whereas the varieties of Cherimoya are Andrews, Amarilla, Asca, Baste, Bays, Bayott, Behl, Canaria, Capucha, Deliciosa, Ecuador, El Bumpo, Guayacuyán, Jete, Juniana, Knight, Nata, Popocay, Sander, Smoothey, Tumba, Umbonada, Whaley and White Juliana. The shape of Guava and Cherimoya is Round and Conical respecitely. Talking about the taste, Guava is sweet-sour in taste and Cherimoya is sweet.